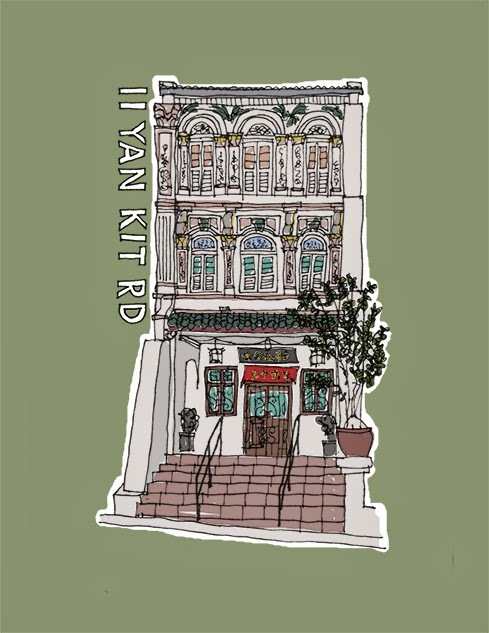 Sporting a rather nasty headache from overindulgence last night, I spent the afternoon in the fruitless quest for new trousers for people that have legs longer than drinking straws and finishing off a sketch of the Chong Clan Association house on Yan Kit Rd. I could not sit opposite the house where I was last weekend as there was a frenzy of cats feeding from small dishes placed by a kind local. I stood for a few minutes to add a few more squiggles, but quickly decided that the pen was too noisy and decided to leave it as it was.